- Mickie James has an appearance in the music video "Drinking Side of Country" by Bucky Covington. “Bound For Glory,” presented by Direct Auto Insurance, will be held live at the Grand Canyon University Arena starting at 5pm local time with doors opening at 3:30pm MST. The superstars of Spike’s “IMPACT WRESTLING” will headline “Bound For Glory,” including Hulk Hogan, current TNA World Heavyweight Champion Austin Aries, Bobby Roode, Sting, Jeff Hardy, Olympic Gold Medalist Kurt Angle, Rob Van Dam, Mr. Anderson, “The Phenomenal” AJ Styles, “The Samoan Submission Machine” Samoa Joe, the lovely and lethal TNA Knockouts, the stars of the X-Division and many more. “Bound For Glory” will feature the winner of the “Bound For Glory Series” in the main event for the TNA World Heavyweight Championship. 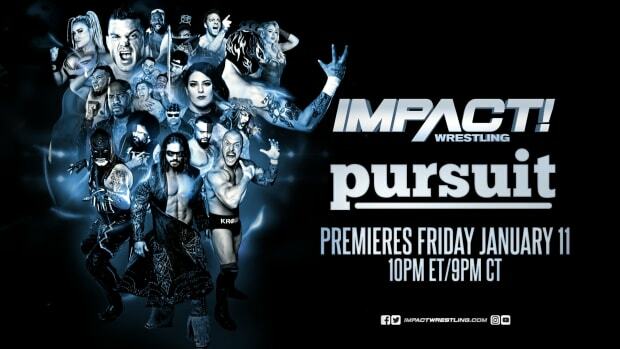 Continuing the celebration of ten years of Total Nonstop Action, this will be the biggest weekend of the year for the superstars of IMPACT WRESTLING. The weekend will feature expanded activities in the Phoenix area, including a special “Bound For Glory Fan InterAction” and the inaugural annual TNA Hall of Fame induction. As announced at “Slammiversary” in June, the first-ever inductee is “The Icon” Sting. Tickets for “Bound For Glory” go on sale Friday, July 27 (10am MST/ 1pm EDT) at the Grand Canyon University Arena box office, GCUArena.com or charge by phone at 602-639-8999. Admission to the TNA Inaugural Hall of Fame Celebration on Saturday, October 13th at 8:00pm PST at the Pointe Hilton Tapatio Cliffs Resort. The Hall of Fame Celebration & Dinner will feature the Induction of "The Icon" Sting. Be part of history as one of the greatest wrestling superstars of all time is honored with the induction as the very first member of TNA Wrestling&apos;s Hall of Fame. This once-in-a-lifetime opportunity will never happen again. The event includes an intimate dinner setting along with special guest presenters. Meet all your favorite TNA Superstars at TNA Bound For Glory Fan InterAction. Highlighting this event are the one-on-one conversations, personalized autographs, and treasured photographs with the superstars of TNA Wrestling and future Hall of Famers. * Talent appearances to be determined at a later date and are subject to change. - Meet all your favorite TNA Superstars at TNA Bound For Glory Fan InterAction. Highlighting this event are the one-on-one conversations, personalized autographs, and treasured photographs with the superstars of TNA Wrestling and future Hall of Famers. - Talent appearances to be determined at a later date and are subject to change. The VIP Weekend does not include a ticket to TNA Bound For Glory on October 14, 2012. Hotel will require a credit card for incidentals (including parking and internet access) for each room. Hotel accommodations are for Friday, Saturday, and Sunday night (October 12 -14th). ▪ Friday night check-in and reception with stars of IMPACT WRESTLING. ▪ Sunday morning breakfast with stars of IMPACT WRESTLING. Packages: Total cost of packages listed next to price is per person (PP).